The government seems to be divided over the Forest Rights Act and Compensatory Afforestation. In the ongoing session of Parliament, the Ministry of Tribal Affairs (MoTA) maintained that Compensatory Afforestation cannot be carried out on land that has titles granted under Forest Rights Act (FRA). The Ministry of Environment and Forest (MoEF) said that FRA doesn’t apply to Compensatory Afforestation. Responding to a question in Lok Sabha on Monday, December 18, the Union Tribal Minister, Jual Oram made it clear in a written reply that the ‘forest land on which titles are recognised under FRA cannot be used for the purpose of Compensatory Afforestation”. The same day in Rajya Sabha, the Environment Minister (State) Mahesh Sharma told Parliament that the “provisions of Forest Rights Act is not applicable for Compensatory Afforestation done on non-forest land provided by the user agencies”. While the reply of the Environment Minister takes only the non-forest land into account, under the provisions of the Compensatory Afforestation Fund (CAF) Act, 2016, afforestation can also be done on degraded forest land, with a condition that the plantation will be twice the size of the diverted land. Recently, many cases of plantations on land where land titles have not been settled have emerged. A study done by the non-profit, Community Forest Rights-Learning and Advocacy (CFR-LA), has compiled such cases from ten states across the country. The MoTA too seems to be avoiding taking responsibility of its own law—FRA. While the minister in his reply said that no cases of violation of FRA provisions by Compensatory Afforestation has come to the Ministry’s notice, sources from the Ministry said that the National Commission for Schedule Tribes has taken up cases involving the same. “Existing Compensatory Afforestation Funds have already been used on a wide scale to set up plantations under schemes such as Ama Jungle Yojana which promotes Vana Surakshya Samitis (JFMCs) of the forest department that conflict with CFR rights of gram sabhas particularly in Odisha and across the nation in general. 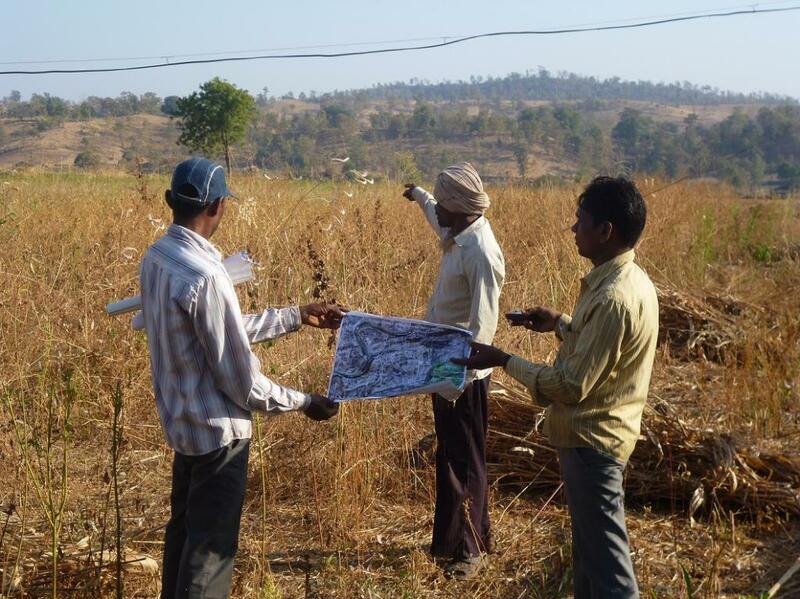 The funds are a tool to grab land, forcibly dispossess and illegally relocate communities from their traditional livelihood resources,” said Chitta Ranjan Pani of of Vasundhara, a non-profit working on tribal rights in Odisha. Moreover, while such cases of FRA violations are happening, the MoEF has backtracked on its earlier promise of involving communities in taking decisions about Compensatory Afforestation. Last year, the late Environment Minister, Anil Madhav Dave, had assured Parliament that the CAF rules will have provisions for consultation with the gram sabha. Now, in his reply, Harsh Vardhan made it clear that Compensatory Afforestation will be done under the Working Plan. “Compensatory Afforestation on government forests is done as per the Working Plans prescriptions of the government forest prepared as per Working Plan Code approved by the Ministry. Concerns of tribal people and forest-dwellers as per Forest Rights Act are incorporated in the Working Plan prescriptions,” he said. The involvement of local communities in creating the Working Plan is negligible, if not absent. Under these circumstances, as MoTA shirks responsibility and MoEF denies rights, the local communities are left with an unaddressed historical injustice.